Professor Stock graduated in 1974 from the University of Nottingham in England with a B.Sc. (Hons) in Chemical Engineering. The program in Nottingham was (and is), unusually for the UK, a four-year program. This allowed students to choose a sequence of elective courses beyond the required chemical engineering curriculum – effectively a minor. Professor Stock studied economics, accounting and industrial relations as his electives. Upon graduation Professor Stock joined Price Waterhouse, Ltd., a major accounting firm and gained valuable experience in how companies work from the board room to the post room. His work included audits, financial analyses and investigations and his clients included Shell Oil, Gulf Oil and Stone and Webster. In 1976 Professor Stock joined Constructors John Brown, a leading plant construction and consulting company, and worked as a Cost Engineer on one of their projects. Later that year he joined British Petroleum as a Development Engineer at their Sunbury Research and Development Center on the outskirts of London. There he worked primarily on development of BP’s molecular sieve and isomerization processes for enhancing gasoline performance. He also participated in rigorous HAZOP studies, was a member of a team performing critical studies of alternative energy sources and spent a year working as technical support at a BP refinery. In 1980 Professor Stock returned to academia as a graduate student at West Virginia University. There he met Professor Gene Cilento (now Glen Hiner Dean of the College of Engineering and Mineral Resources) and became interested in the biomedical applications of chemical engineering. Advised by Professor Cilento, Professor Stock undertook research studying the distribution of blood plasma within mammalian spleens and, later, the characteristics of macromolecular uptake by liver hepatocytes. 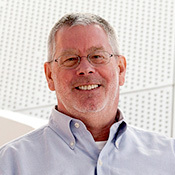 Upon graduating from WVU in 1987, Professor Stock joined the Tumor Microcirculation Laboratory at Carnegie Mellon University under the direction of Professor Rakesh Jain (currently the Andrew Werk Cook Professor of Tumor Biology at Massachusetts General Hospital in the Harvard Medical School). At Carnegie Mellon Professor Stock conducted research in tumor microcirculation as well as developing methods of automating measurements of parameters such as in vivo flow, diffusion and permeability. He also was the principle officer in a project to transfer this technology to the commercial field. In 1994, Professor Stock joined the Department of Chemical Engineering at The Cooper Union. His experience as a design engineer in industry, his knowledge of economics and finances and his years as an experimentalist inform his teaching of Process Design and Evaluation, Chemical Reaction Engineering and Senior Chemical Engineering Laboratory. In addition, he occasionally teaches Biotransport Phenomena, normally as a one-on-one course outside the classroom. Also in 1994, Professor Stock with a colleague, Dr. John Osburn, began experimenting with a program to help develop the communication skills of undergraduate engineers. Initially part of the chemical engineering laboratory sequence this effort expanded in 1997, funded by the Department of Education, to cover all the freshmen and sophomores in the engineering school as the CONNECT Program. The CONNECT Program continues today as part of a four semester sequence or Professional Development Seminars and Workshops directed by Professor Stock and also as an integral part of a number of courses throughout the engineering school. Professor Stock has supervised Masters student research on a range of topics. On his bookshelves there are theses on process design, process simulation, biofermentation, the economics of NYC water systems, laboratory simulations and in vitro cellular reactions.